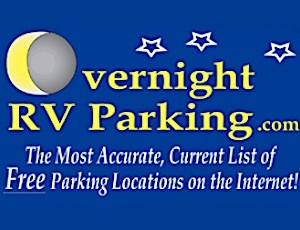 This will the first in an off and on series of articles about simple things to do to your RV. Well, at least they start off simply. One of the first things I decided when I began my research for the perfect RV for me was the absolute want of a "dry bath." That's the kind that has a separate shower and toilet. Lots of people have the other kind, but it was a deal breaker for me. Ultimately (as you all know!) I found what I was looking for in the Aero Cruiser. The shower uses a curtain like the ones you have at home although a bit smaller. I decided the gap at the top created by the curtain rod rings was too large and I was getting some water spray out of the enclosure. This likely had to do with the replacement of the "weak flow" original shower head with an Oxygenics one. Anyway, how hard could it be to find smaller rings? Most shower curtains are pretty simple. A plastic sheet with holes in it. Yes, I know the holes should be on top! Well these need some way of hanging on the support rod. Easy enough, you use a bunch of rings. Any "dollar" store has lots of them. Buy a set, poke them through the holes and on the rod and bingo! you have a shower curtain. 99% of the time this is a quickly done job. Not for me. I had to find smaller rings to close that gap at the top. OK I didn't HAVE to, I wanted to! I spent the whole winter season looking for smaller rings. Unbelievably, I couldn't find any! Seems crazy! I did find lots of metal ones that were smaller, but imagine driving down the road with metal rings on a metal rod. I don't even like the pretty sound of wind-chimes! Imagine how batty I would go! Eventually I located some at a close-out store. They were more oval shaped, but they were smaller. Or so I thought. They didn't have the locking mechanism on them, like the original ones, but I didn't think they could fall off the rod. The little slot lets you put them through the plastic shower curtain. Easy. Right? Not if your in a hurry and haven't though it through. Here's my problem. I figured I could bend them a bit and slide the opening over the rod. They should be flexible enough to bend that far...right? Well, the first two were. Then SNAP! SNAP! the next two broke. nearly put an eye out with one of them! It didn't occur to me until AFTER I broke a few that I could simply unscrew one side of the rod from the wall and simply slide all of them on. Then put on the shower curtain. See? Haste truly does make waste! Off to the dollar store for another set of 10 (the curtain has 10 holes and I only had 8 unbroken rings left.) Loosened the screw for the rod bracket, slid them all on. Slid the rings through the curtain holes and Voila! new and improved. Yes, I noticed that I haven't closed the gap at all since they are oval. But maybe one day I'll find rings that are actually smaller. I like the look of the transparent ones better anyway. Or maybe that's me rationalizing a mistake?? Sometimes it's the little things that can make a big difference. Not this time! Now that the weather has finally decided to cooperate, I will get back on track and begin my spring/summer projects. Remote control porch light, 12v TV amplifier, solar thermal water heating, electricity from waste furnace heat and quite a few others! Stay tuned. Wanderman, I was in the same situation as you are (different rig/settings), and I found my solution in a hookless bath curtain. They have a little extra above the rod that closes very well and no mist coming out. I highly recommend then and they are very affordable. Take a look. Genius! I never even knew they existed. I've already ordered the smallest width they had. Thanks for an excellent idea! Yup..that's the hookless design. I ordered one as per a reader suggestion. Hard to find one less than 72" wide, but I found a 54" one.